Let G be a connected semisimple algebraic group and let H ⊂ G be a connected reductive subgroup. Given a flag variety X of G, a result of Vinberg and Kimelfeld asserts that H acts spherically on X if and only if for every irreducible representation R of G realized in the space of sections of a homogeneous line bundle on X the restriction of R to H is multiplicity free. In this case, the information on restrictions to H of all such irreducible representations of G is encoded in a monoid, which we call the restricted branching monoid. 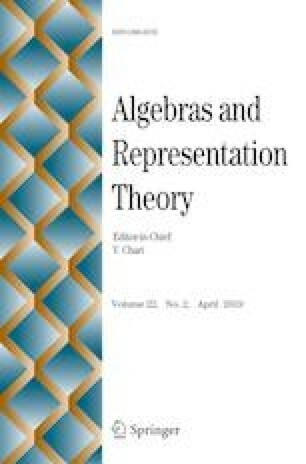 In this paper, we review the cases of spherical actions on flag varieties of simple groups for which the restricted branching monoids are known (this includes the case where H is a Levi subgroup of G) and compute the restricted branching monoids for all spherical actions on flag varieties that correspond to triples (G, H, X) satisfying one of the following two conditions: (1) G is simple and H is a symmetric subgroup of G; (2) G = SLn. The authors are grateful to Dmitry Timashev for useful discussions. The first author thanks the Institute for Fundamental Science in Moscow for providing excellent working conditions. The results of Sections 6.5–6.12, 7.4–7.7 are obtained by the first author supported by the grant RSF–DFG 16-41-01013. The results of Sections 6.2–6.4, 7.2–7.3 are obtained by the second author supported by the RFBR grant no. 16-01-00818 and by the DFG grant PE 980/6-1.